the montefortino helmet was the standard Roman legionnaire helmet from 3rd-1st century B.C., until it was replaced by the Coolus type. Plumes and horsehair could be inserted to identify rank, kind of soldier (hastati,princeps,...). The only thing to do now is just place a small neck guard, and then try to make a mold. 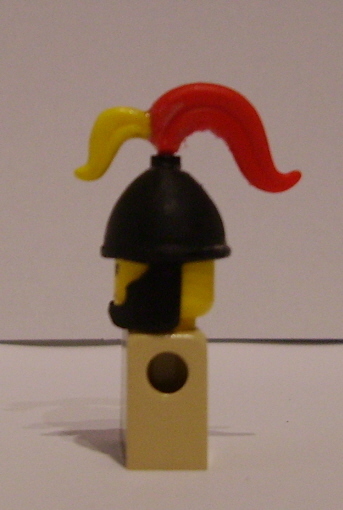 The plume is made of parts from the medium and triple lego plumes. Neat. I always wanted a Roman army from Lego. Personally, I loved the coolus type. This does look a lot like the Montefortino. Very nicely done. Does it actually need a neck guard? I'm sure I have seen examples without neckguards. Despite my love of the HBO's ROME this is the type of helmet I think Caesar's legions wore in Gaul. 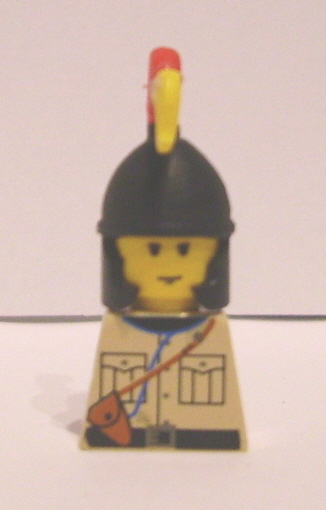 Lego and all the customizers make just imperial helmets, which we are grateful for, but nothing is easily used to represent these early republican roman army helmets. nice work. 7 years later how did the mold work out?